I’ve also always liked the look and persona that comes with owning a Jeep. Unfortunately, owning a Jeep in west-central Ohio doesn’t make much sense. There aren’t exactly many mountains to climb or large mud puddles to run through. 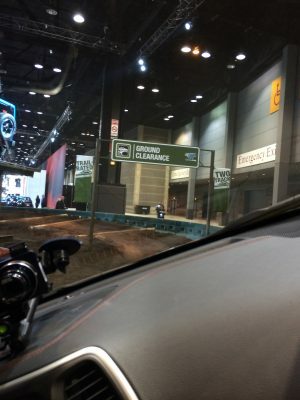 So imagine my excitement when I spotted Camp Jeep at the 2014 Chicago Auto Show. 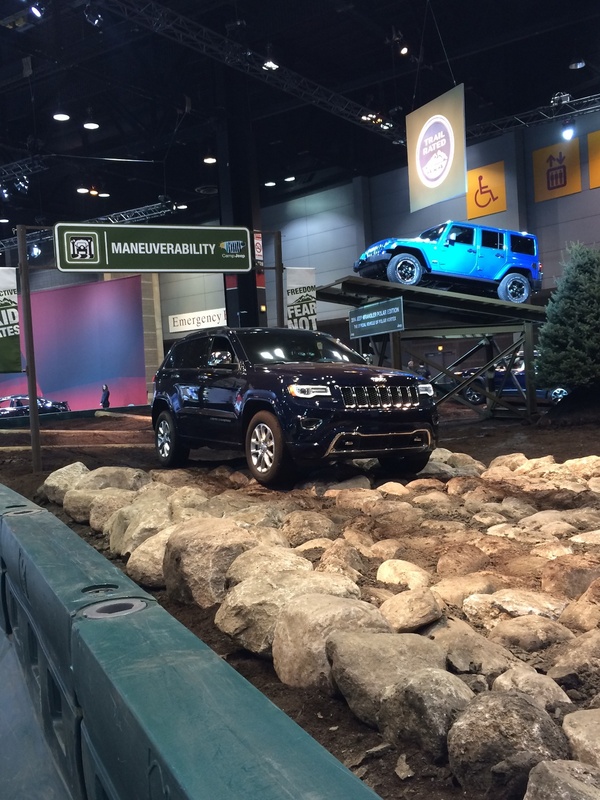 The Camp Jeep setup was one of the highlights of this year’s auto show. That was obvious based on the line to test it out, alone. 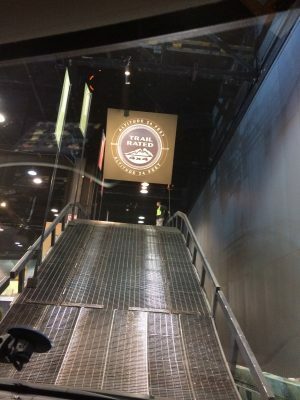 Camp Jeep gave visitors the chance to experience firsthand the brand’s Trail Rated vehicles including the 2014 Jeep Cherokee, 2014 Jeep Grand Cherokee, and 2014 Jeep Wrangler. The vehicles went through a series of obstacles that tested ground clearance, stability, and maneuverability. The 2014 Jeep Cherokee Trailhawk handled this 18-foot, 35-degree hill like a champ. 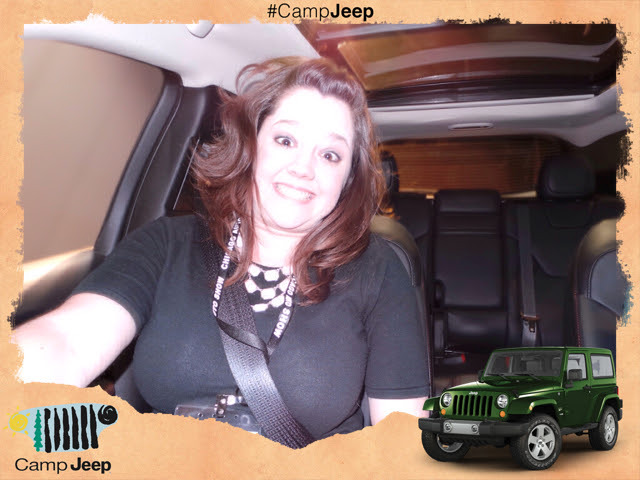 When it was my turn, I climbed into a top-of-the-line Trail Rated 2014 Cherokee Trailhawk. I’ll be honest; I was already in love with the car before we even started the course. The exterior design is modern and sleek. It’s clear the designers paid attention to every detail from the front reflector fog lamps to the LED taillamps. The interior was one of sophistication with high-quality materials and innovative technology. The leather-trimmed bucket seats were comfortable and supportive, and the 8.4-inch touchscreen display was easy to use. After I mopped up the drool from my chin, we started on our trek across Camp Jeep. The first test category was Articulation. The Jeep 4×4 system was no match for the bumpy road as the independent suspension configuration maximized the axle articulation and wheel travel. Yep, that’s a 30-degree angle. From there, we moved on to the, in my opinion, most fun part of the course. To test the Traction, we climbed an 18-foot tall hill at a 35-degree angle. I was impressed at how easy the 2014 Cherokee climbed the hill, which provided us with a spectacular view of the entire Chicago Auto Show floor. Then things got really crazy. The way down was just as steep, and I’m pretty sure the driver thought I was crazy with my excessive amount of laughter and squeals. My driver flipped on the Selec-Speed Control, which was able to automatically adjust the throttle to descend the hill at a steady speed. It’s a feature worth trying out if you’re in the market for a new Jeep. We continued on to check out the Stability as we climbed on a 30-degree tilt. Yes, the Jeep Cherokee can easily handle being on three wheels without tipping over. Following the Stability Tilt were a set of logs that showed off the Cherokee’s ability to handle a 7.5-inch ground clearance and a group of large rocks, which highlighted the Jeep’s maneuverability. 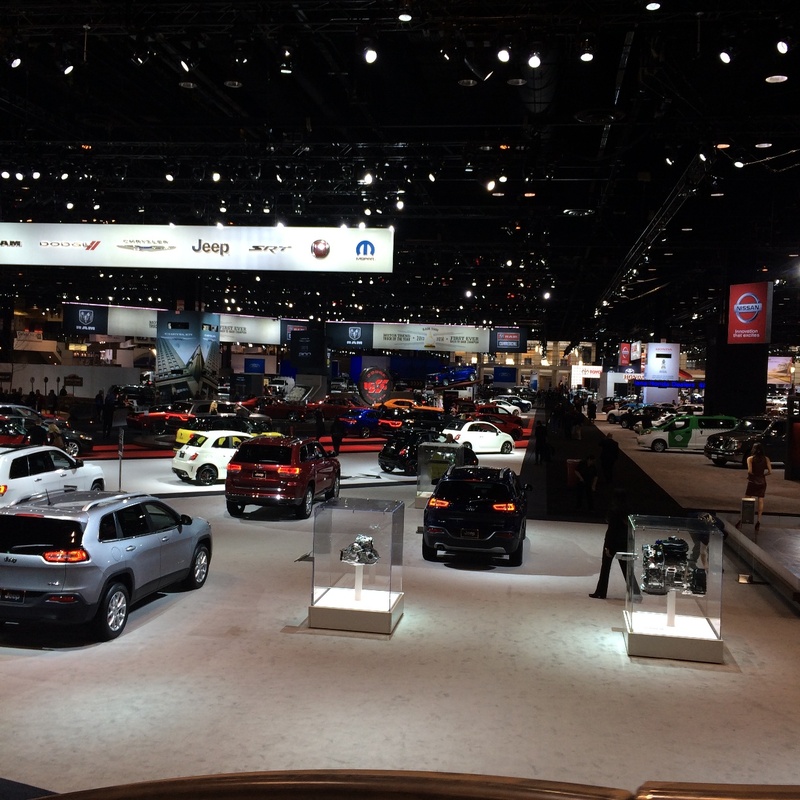 Awesome view of the 2014 Chicago Auto Show floor. Finally, we tackled the Trail-Rated Pass, which is a new section of the Camp Jeep test track. The 2014 Jeep Cherokee Trailhawk handled the gap like the pro it’s built to be. Camp Jeep was easily more impressive than any summer camp I could have attended. Plus, I got this sweet souvenir photo! (keep your laughter to yourselves). I’ve had a love for the arts for as long as I can remember. This passion led me to a Bachelor of Fine Arts degree with a specialization in Digital Arts. While in this program, I took to traditional photography and have since expanded into digital photography. 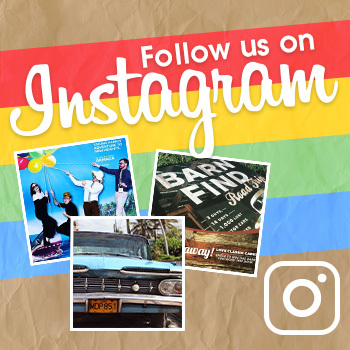 I found my love for journalism at my first job out of college – as the Multimedia Coordinator for a small-town newspaper. Now I use my talents in the automotive industry with The News Wheel!